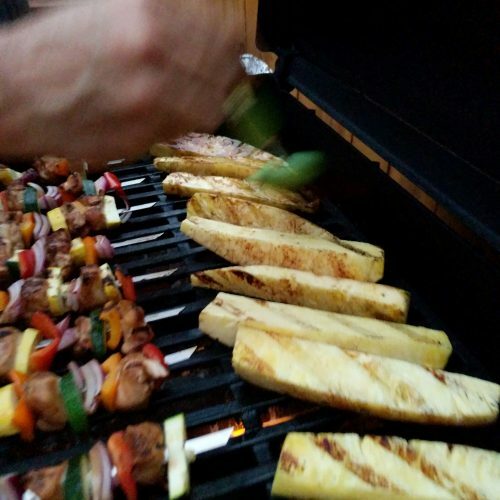 We were recently at a BBQ and they were grilling pineapple. I was like hold up! Whaaaaat?!?! I knew immediately that I needed more of this pineapple in my life! 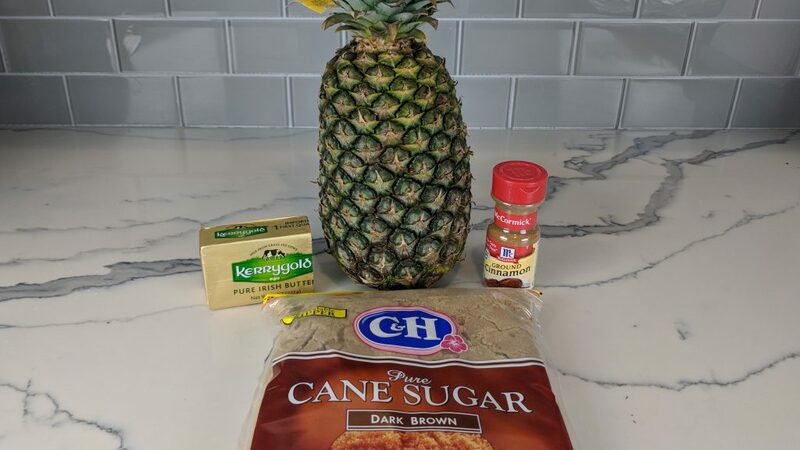 This cinnamon sugar pineapple is so delicious you won’t want to stop eating it! It is an amazing summertime treat. Whether you grill it up as a side or as a dessert it is sure to be a hit! This recipe is gluten-free and vegetarian! Weeeeee!! 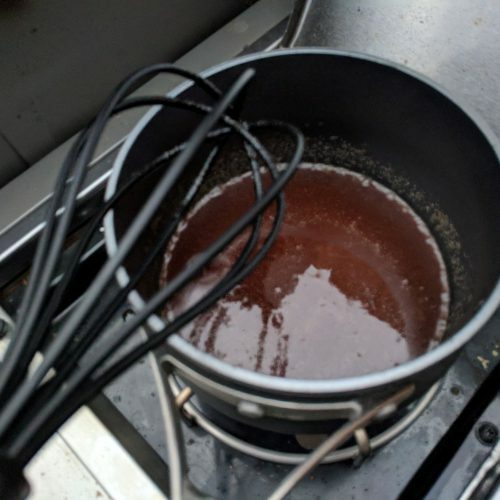 I use grass-fed butter, brown sugar and cinnamon for the glaze. 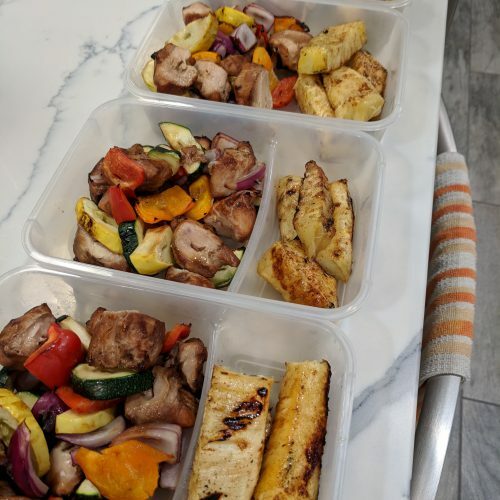 We couldn’t resist eating a couple bites right after it came off the grill and it tasted like warm apple pie! When I ate it cold it was delicious, refreshing and felt like I was indulging! 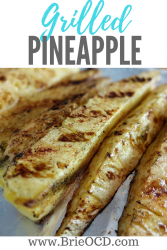 I served this with grilled chicken skewers (click here for the recipe) however this is an amazing summertime treat with anything that you are cheffing up on the grill! Hope you enjoy as much as we did! 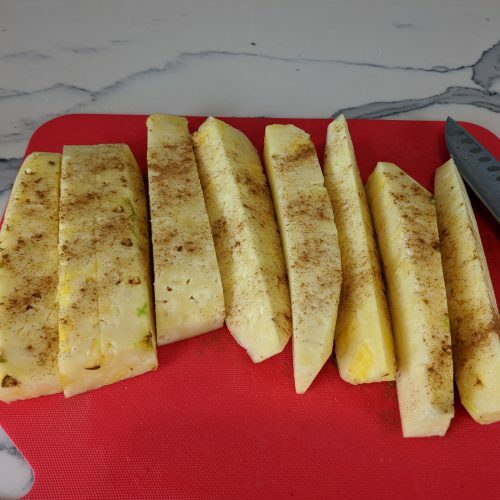 cut pineapple into spears. lay on a baking sheet and lightly sprinkle with a little cinnamon. In a small pot, melt butter. Add tbsp of cinnamon and brown sugar. whisk until mixed together. 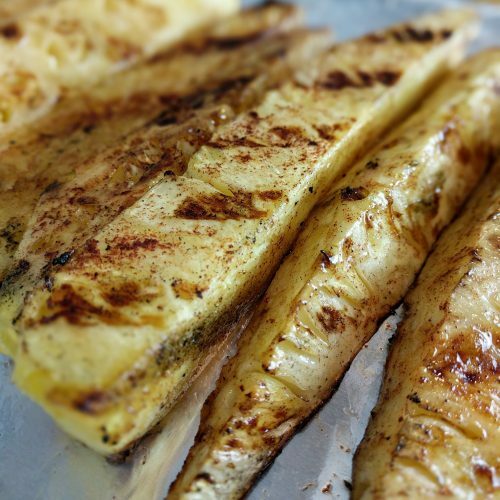 lay pineapple on the grill. using a basting brush, baste each spear with the sugar/cinnamon/butter sauce. Grill for approximately 10 minutes (or until your desired taste preference) flipping and basting with sauce every 2 minutes or so. Enjoy! Serve with grilled chicken skewers. (click here for recipe).